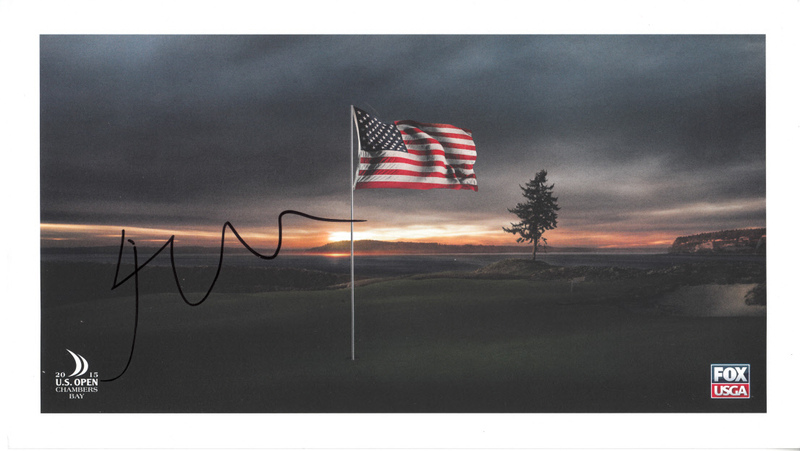 2015 U.S. Open commemorative card, roughly 6 by 11 inches, autographed in black marker with a sloppy shorthand signature by Jordan Spieth, who won his second major title at Chambers Bay. Obtained in person, with certificate of authenticity from AutographsForSale.com. ONLY ONE AVAILABLE FOR SALE.